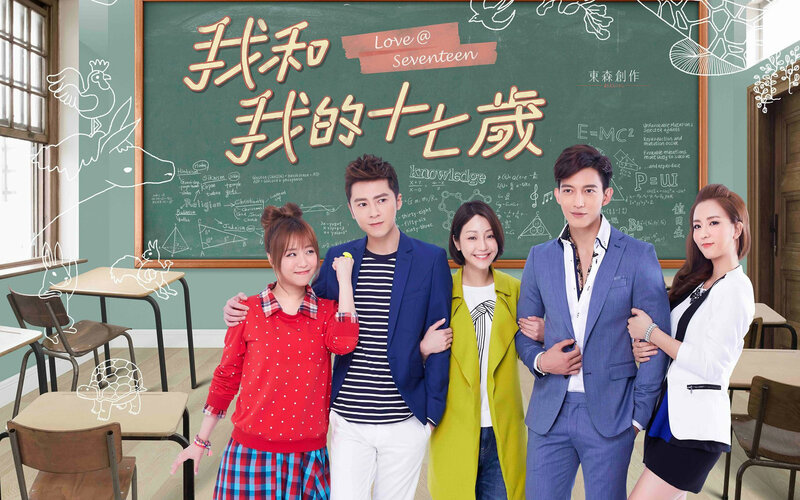 Love at Seventeen – 2016 Taiwan Drama – PINKKLOVER. Honestly, I love Nikki Hsieh from “Substitute Princess / 金大花的華麗冒險” (2013 drama) so when I heard that she’s starring in a drama with Edison Wang & Amanda Zhou – I knew that I just had to watch it! I just finished watching the first 3 episodes and my god! I’m so in love with it! It’s funny, hilarious and my eyes shed a few tears! There was so much packed and there wasn’t a time where I felt bored – it was exhilarating! Anyways, this drama is one of those nostalgic plots where a group of high school friends break-up then reunited in the future (which I guess the plot thickens and everyone will know the reason for the unfortunate break-up). Honestly, I was supposed to publish this post months ago but because I’ve been so busy with work and assessments, I totally forgot about it. Anyways, I will give an update on the drama. I thought I would keep on watching it all the way through like Marry Me or Not but god…this show is too slow! I’m only up to ep 11 and only watched 6mins of the episode before I gave up. I forced myself through ep 10 (took me a few days) and by then, the actions and character development were getting quite cliche. It’s too draggy. Unless someone tells me that it will get better, I’m going to put a pause on this drama. Off it goes to the “watch when I’m very…very bored and have nothing else to watch’ bin.